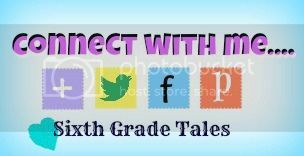 Sixth Grade Tales: August Already! Only a few more weeks until school starts. I'm already back in school with cheerleading practices going on. Next week starts our cheer camp and then the following week I can start setting up my classroom. I'm ready for school to start back but I have a lot I want to get done before students come. So today I'm linking up with Farley for this month's currently to talk about what is on my mind for August! Listening- I'm currently listening to Dierks Bentley's song "When you gonna come around." It's off his new album and I just love it, it's been on repeat. Loving- Back to school sales have been pretty good at office stores lately. Today starts Tax Free weekend in NC so I'm going to brave the crowd with a co-worker to get a few things. Thinking- I'm still deciding how I want my students to check books in and out of my classroom library this year. 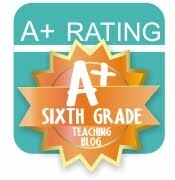 I think I'm going to go with the Classroom Library Organizer iPhone app. I also need to decide if I'm going to group my books by genre and if so, will I put stickers on each of the books so that my students put them back in the right bins. Any suggestions? Wanting- I am so badly wanting to take another fun trip before school starts but it doesn't look like it's going to be very possible with all I have coming up. I may try to do a day trip to the Biltmore Estate or to Carowinds. Needing- I need to make a list of all the things I need to do when I get in my classroom. If I don't make a list I know I will just start one project, think of something else and start it. Right now, I probably don't want to see how many pages that list will end up being. Back to School Must Haves- 1) I need a new teacher chair to sit in while reading Read Alouds and to have near my smartboard. Last year I had a stool and the plastic completely tore off over the cushion I used it so much. 2) I also want some new comfy teaching shoes. Yes, I probably have too many shoes already, but it just feels nice having a new pair to start the year. 3) I've seen so many cute teacher binders on Pinterest so another thing I want for school is my own personalized binder to organize all my class information with. Make sure you join in on the fun & link up with Farley for this month's currently. Don't forget about my 200 follower giveaway that will start as soon as I reach 200 followers. I'm still accepting donations to the giveaway in exchanges for links back to your blog or tPt store. Contact me if you are interested!